Even before my Mix With The Masters experience (sorry it just slipped out) I was, have been and still am a great believer in putting a great mic in front of a great instrument being played by a great player to produce a great recording. I’m also personally a great believer in where ever possible keeping it simple. 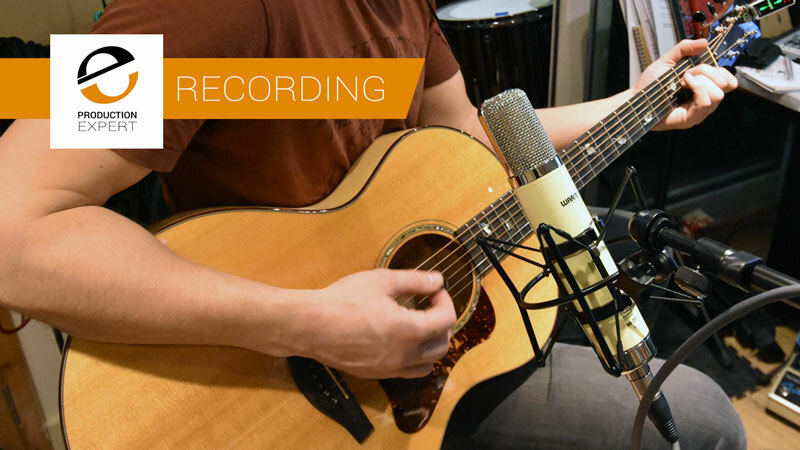 Why use two mics to record an acoustic guitar, and have to start worrying about issues like the phase relationship between the two mics, when one good mic can do a perfectly good job? The two guitars we are going to be recording are a Patrick James Eggle Saluda (sadly no longer made) steel string and a Boulder Creek ECL-2 classical guitar. Both sound very different, not only due to the string type but also due to the guitars design. The Eggle has what you might think of as a conventional sound hole while the Boulder Creek has a much smaller sound hole near the neck in the upper body then a larger one in the side of the body near the player as you can see in the image below. Why am I spending so much time talking about the guitars and not the microphone? 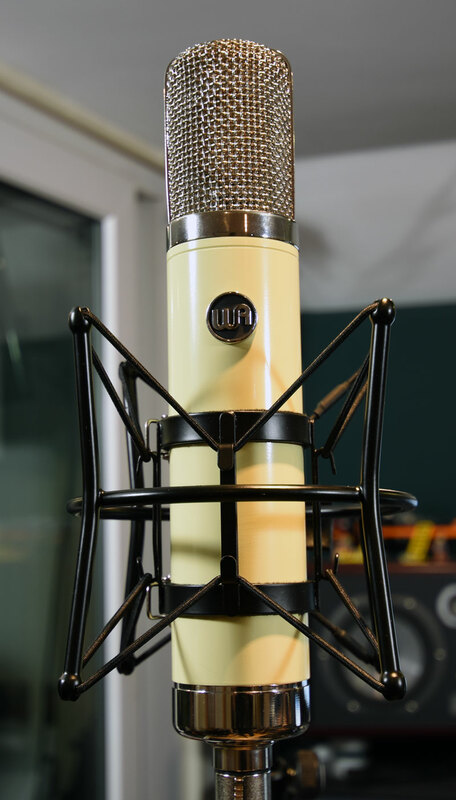 Well, if you don’t know where to put the mic, it does not matter what mic you have to play with, you are not going to get the best from the instrument and produce a good recording. You can see from the pictures above and below that I tend to like the sound that these guitars make from above. Even though the Classical guitar is not as loud as the steel string I have pulled the mic back a little to capture more of the tone coming from the upper body sound hole. 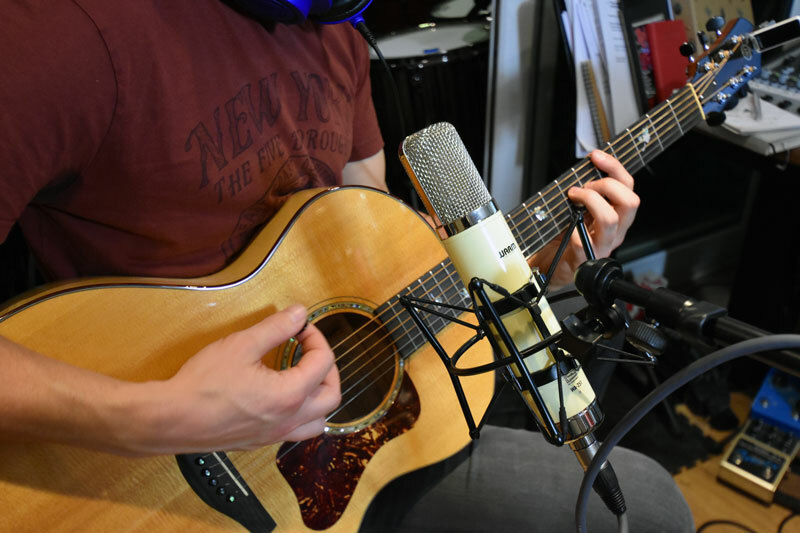 Most of the steel string “jangle” comes from the strings them selves but the main tone of the guitar comes from the body so I tend to get in a little closer when recording a steel string with only one microphone. 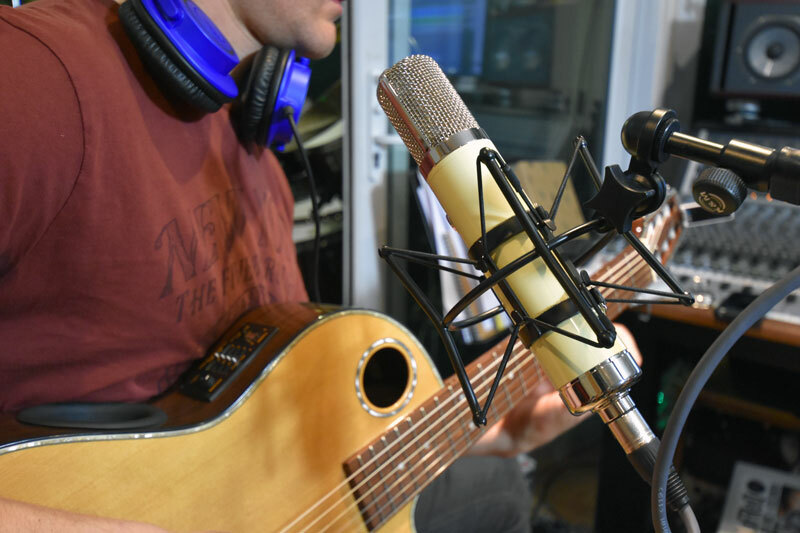 What you will never see me do is put the mic in-line with the sound hole. The sound radiating from the sound hole is very muddy and not a “nice” sound at all. Keeping the mic above the hole is a good way to get a nice round tone with warmth and body and just enough bite from the strings. The WA-251 is the usual Warm Audio combination of retro style and tone with modern design and components, like CineMag transformers. To me this is the best of both worlds. You get all the benefits of a great "classic” sound without all the hang-ups of breakdown servicing bills. Vintage mics to pack-up and normally when you least expect or need it. 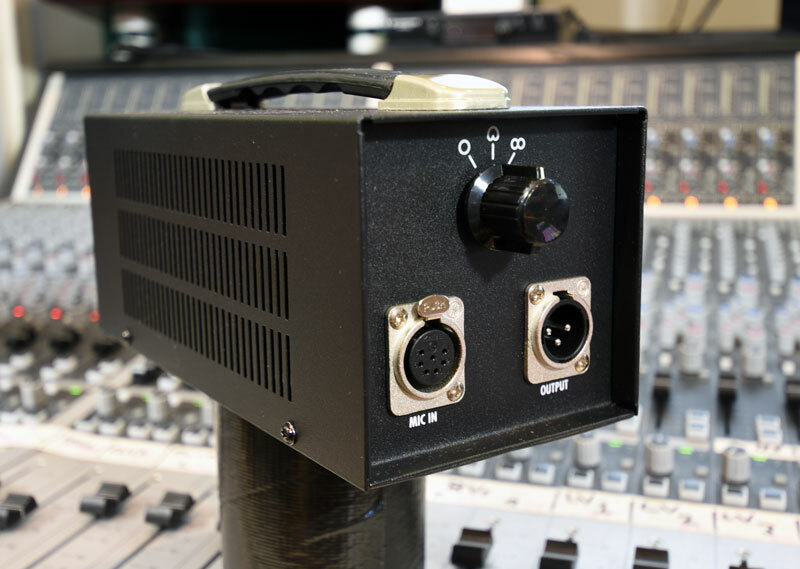 The mic comes in a nice wooden box with its clip-to-secure wire shock mount, power supply and cable as you would expect. The song you will hear and see below is one of Paul’s own compositions called Final Day, arranged for 2 guitars. As ever with these type of recording sessions I have left the tracks unprocessed. I am not using any EQ or Dynamics processing other than a little gentle limiting to bring up the level and a little reverb to give the performance a sense of space. This was one of those sessions where all I had to do was put the mic in the right place, hit record and say go!. Once Paul has recorded both parts we balanced the two tracks against each other and the track was pretty much ready to go. 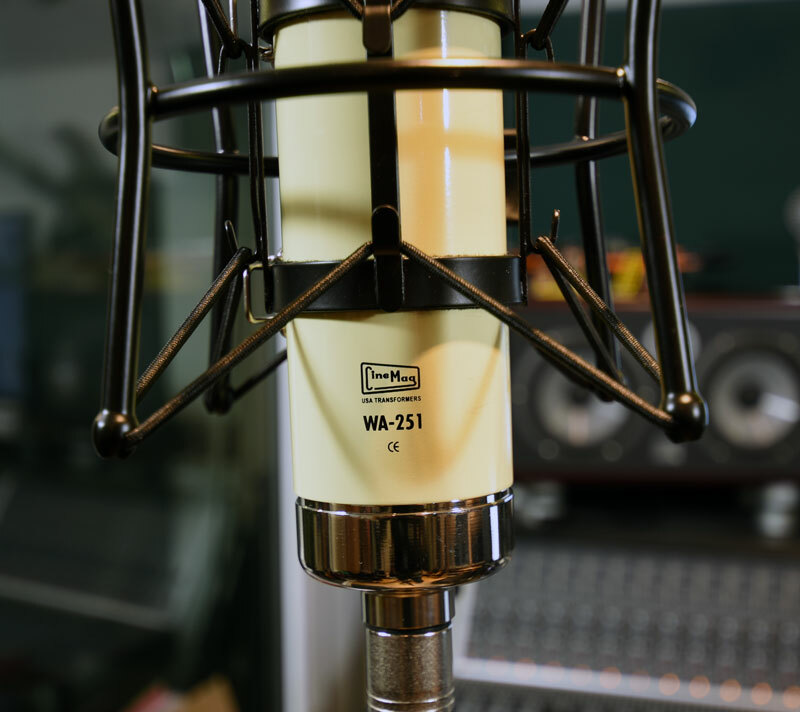 The Warm Audio WA-251 is a great sounding mic that worked really well for this session. The top end is nice a clean with a really nice shine without sounding harsh. The mids are smooth and there is plenty of bottom end if you need it. I am very much looking forward to using it on other instruments. Oh and if you want to know how it sounds on spoken voice, it’s the mic I have been using for the Production Expert Podcast for the last 3 weeks.